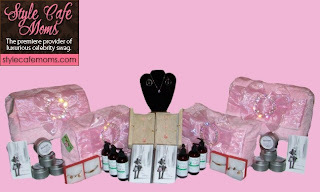 2 additional gift bags were donated to the Susan G Koman Foundation to be auctioned off . So if anyone sees a photo of any of the celebs listed above wearing the Hope you gotta let me know! 1. The celebs looove my necklace and I become he newest jeweler to the stars. 2. I get bragging rights that Oscar winners now own a piece of my jewelry. It's a great and inexpensive way to promote your sites and/or blogs.